Sometimes you need to get out of your comfort zone to get your creativity going again. That's the approach Epic Games is taking with Fortnite. The team needed a palate cleanser after Gears of War: Judgment, and wanted to try something completely different. 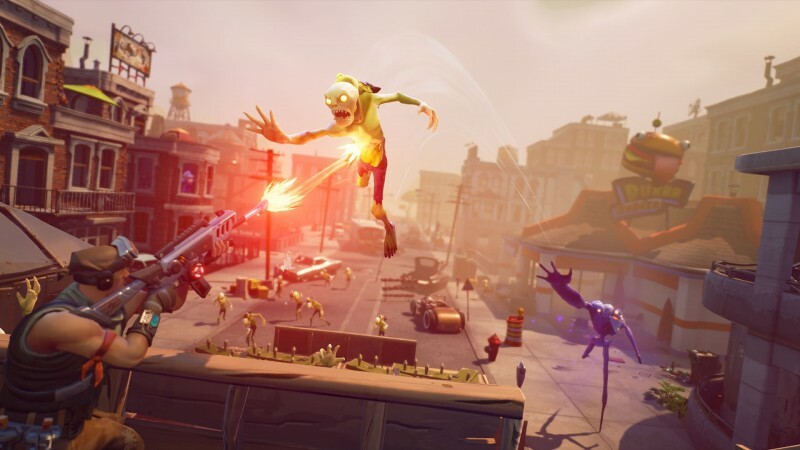 Fortnite is unlike the studio's past work, and looks to be a nice change of pace. The inspiration for Fortnite struck during a Game Jam - an event where developers come together and plan a game in a short period of time. 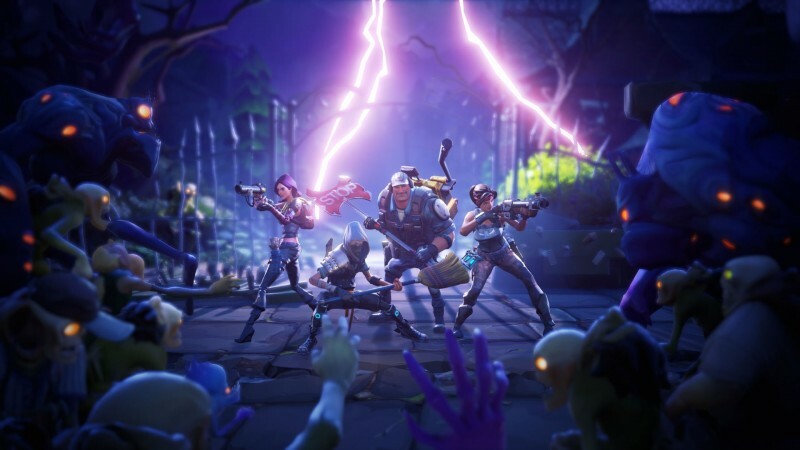 Since then, Fortnite has continued evolving, even turning toward the free-to-play model. 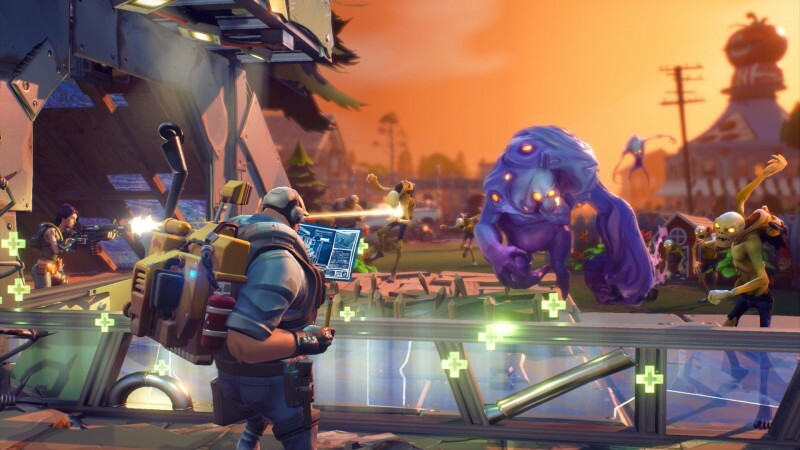 Fortnite is a nod to the forts that many of us built in our childhoods, except this time you actually need to build something solid - almost ndestructible - to hold up against monsters and other competitors. Epic isn't ready to reveal every available mode, but did confirm the presence of PVP and that a persistent fort-building mode is in the works. I recently got hands-on time with an atlas defense mission, working by myself before trying it out with other players. The basic goal is to gather resources to build a fort to protect the atlas device. Once ready, a storm unleashes a wave of creatures that invade your creation. You must fight them off and repair damage, all in the name of protecting the atlas. If it takes too much damage, you lose. Fortnite offers four different classes: the outlander, ninja, commando, and constructor. As expected, classes have their own specialties. For instance, the constructor can build high-level walls, and the ninja has superior melee abilities. For my demo, I pick the commando class, which deals more damage in certain cases, like headshot bonuses. I'm unleashed into a zone in the grasslands - just one of a variety of environments ranging from suburban to urban to industrial. In every mission, the environment is procedurally generated to add replayability and unpredictability. Everything is also destructible, and can be used for resources, so I immediately hit trees and rocks for wood and stone. Clicking on the objects repeatedly, I start to break them down. I notice a yellow glowing orb appear, and I click it; I deal more damage, which in turn makes collecting go faster. I demolish everything I can in a nearby house for materials, from the floor to the stove. I then make sure I craft enough ammo and grenades to defend myself against the impending swarm of enemies. After exploring and gathering, I get to the fort-building process. Players have walls, floors, stairs, and roofs to put up and design around the atlas as they see fit. I build an acceptable fort and get ready to defend. Waves of enemies come at me, and I have plenty in my arsenal to take care of them. I alternate between my grenades, gun, and ax to clear the herd. Later on, I try this with three other people and really feel the frenzy. My strategy for collecting was to get us enough stone to upgrade our walls. I also use my resources to set down a few traps. When the enemies come, one of us stays inside the fort to repair walls as they get damaged, while the other three defend from the outside. The waves of monsters can get overwhelming, but we prevail. Working together to build something that withstood this level of chaos is extremely satisfying. Outside of battle, you can customize your character with new skills once you level up. Leveling up also helps unlock new schematics, giving you the ability to craft new weapons and items. You also are building up your own home base, where you recruit heroes and put your resources into buildings, like a tech lab or military headquarters. This gives you access to other upgrades and classes. So far, I liked the creativity that Fortnite fosters. Thinking up ways to build a successful fort is fun, and I enjoyed strategizing about resource gathering just as much as defending my fort. Let's hope that Fortnite can keep afloat with dedicated players once it launches. Fortnite is free-to-play, but you have the option to pay for card packs. You earn in-game currency by playing matches, which can then be used to purchase card packs at bronze, silver, and gold tiers. These give you helpful perks, like new schematics for crafting. Packs can be purchased with real cash, but you can also obtain them by using the in-game currency earned during regular play. Fornite is coming to PC and Mac. You can eee the game in action in the trailer below. Want more Fortnite? Check out our cover story hub below.